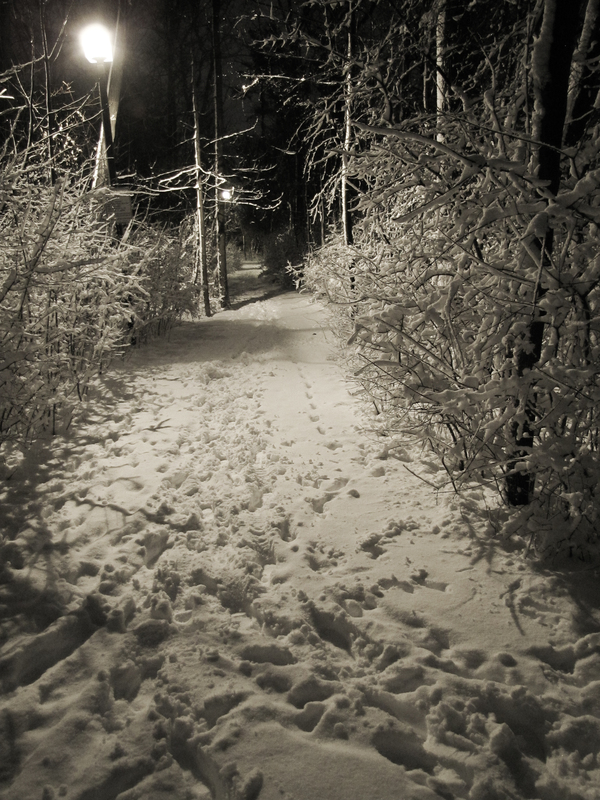 Forest path on a winter's eve. We’ve had so little snow this winter that when it did come down one evening a few weeks ago, I rushed out to take some pictures. Even then it had already turned to rain and Chelsea kindly held an umbrella over me and my camera. That turned out quite well!